Ok, first thing’s first. What is ghee? 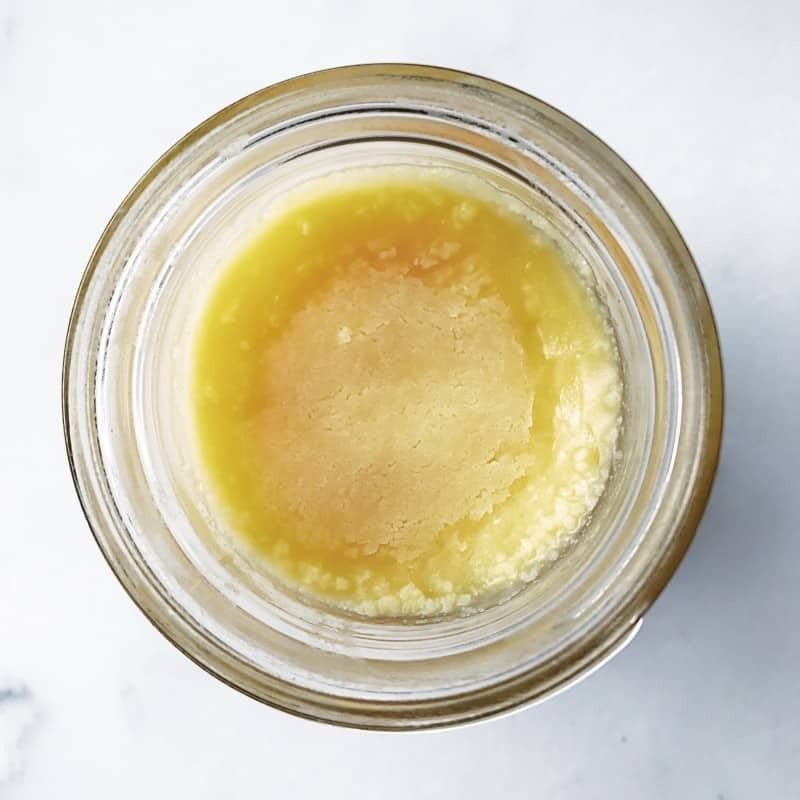 Ghee is a clarified butter — meaning that the milk solids and water are removed from the butter, leaving a purer version and a higher concentration of the good fats. In a perfect process, this also leaves you with an end product that is dairy and lactose-free, although if you have an allergy or a severe intolerance to dairy, I would probably steer clear just to be safe. Obviously, if all you eat is ghee, you’re not going to speed up your metabolism and lose weight. It’s fat guys. But choosing it over butter when I can means that I’m getting slightly more benefits with the same delicious taste. Ok, let’s get to this recipe. I used 8 oz of grass-fed, UNSALTED butter. Two things are important here — the grass-fed and the unsalted. 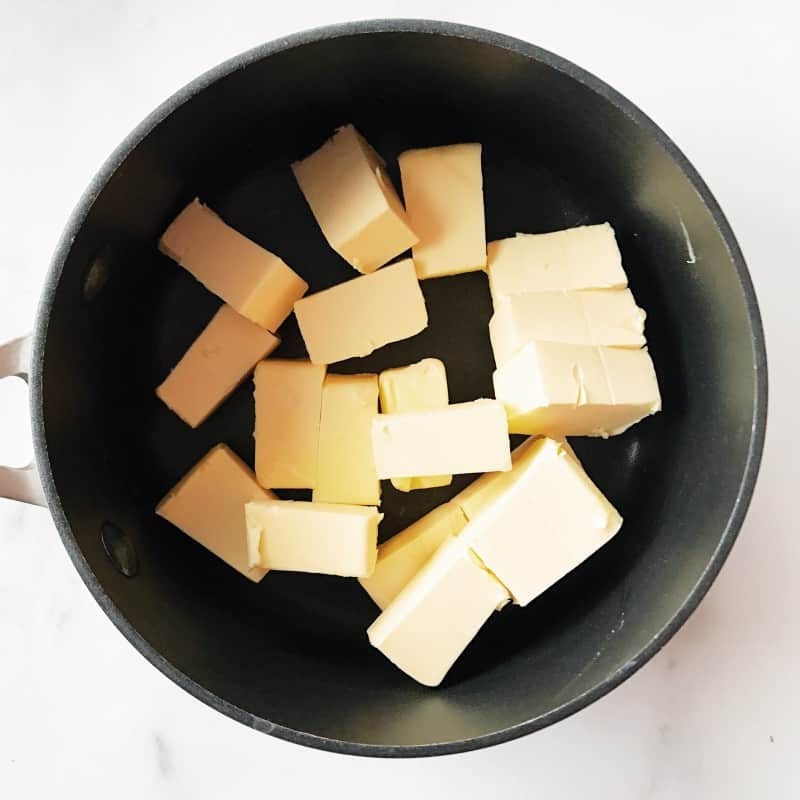 Cows that have been grass-fed produce milk (and butter) that is higher in the vitamins listed above, meaning you will get more out of your ghee than if you use other types of butter. 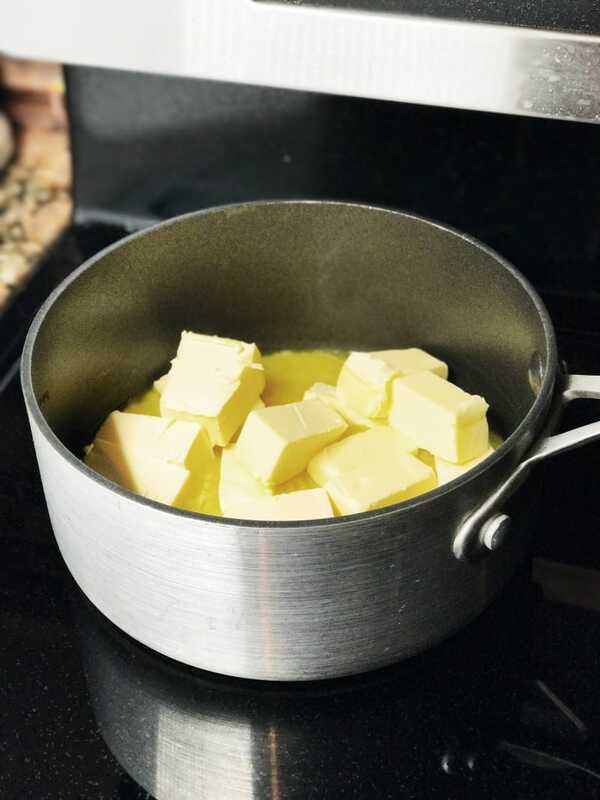 Unsalted is important because as you simmer and cook the butter, your end product will be significantly saltier than when it started, which you probably don’t want. I used Kerrygold butter (no, this is not sponsored), but any grass-fed butter is awesome. Then I cut the butter into cubes about an inch or so in size to aid in quicker and more even melting. Over medium heat, I melted the butter in a small saucepan. Once the butter was melted, I waited for it to simmer (a couple minutes). When it started simmering, I turned the heat down to medium-low to allow it to continue simmering but not have it burn. During this process I made sure to stir the butter occasionally. Soon the butter started to become opaque and create a foam. 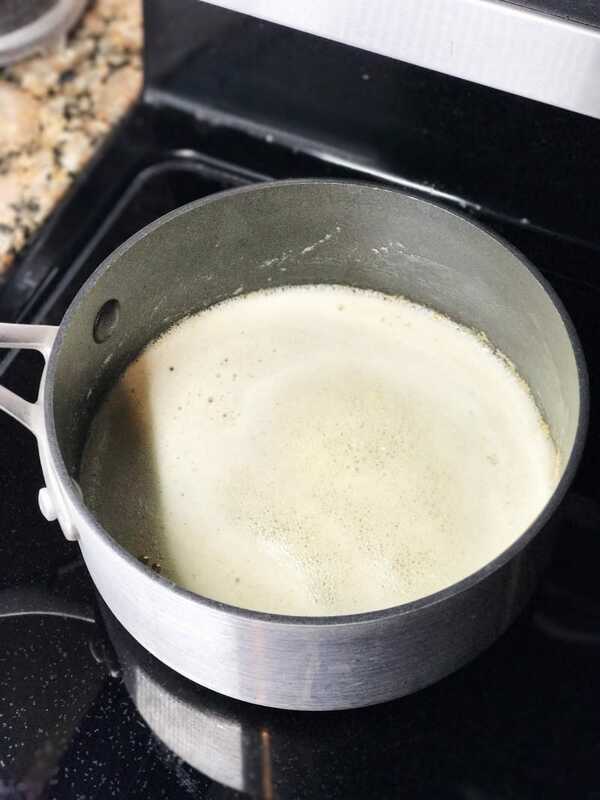 After foaming for a bit, the milk solids start to separate, stick to the sides, and some will fall to the bottom. You can scrape the sides to help the solids collect in the bottom to be strained out later. The butter will start to become clear again as you can see below. A little bit of the foam remains, but you will be able to see more to the bottom as it clears up. Here’s the important part and how you know when it is done. The butter will undergo a SECOND foaming and look almost identical to the first. Once this occurs, you can take the saucepan off the heat and prepare to strain it. 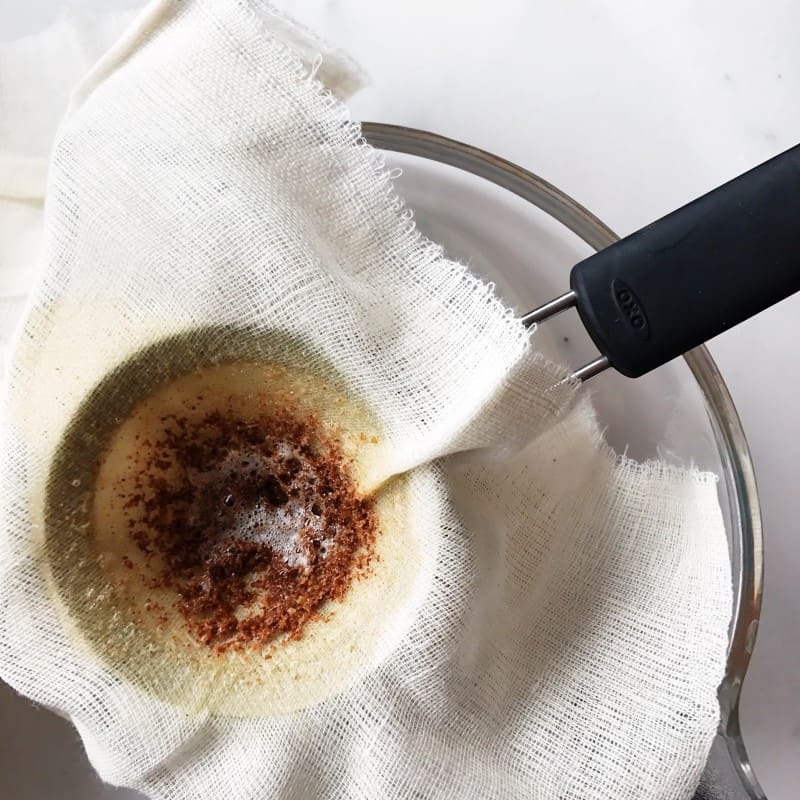 I bought cheesecloth from Amazon and used a small tea strainer I already had to strain out the milk solids. You can either strain it right into the container you want to use, which I did, or into an intermediary container. If you do the latter option, try and use a container that has a pouring spout to make transfer easier. 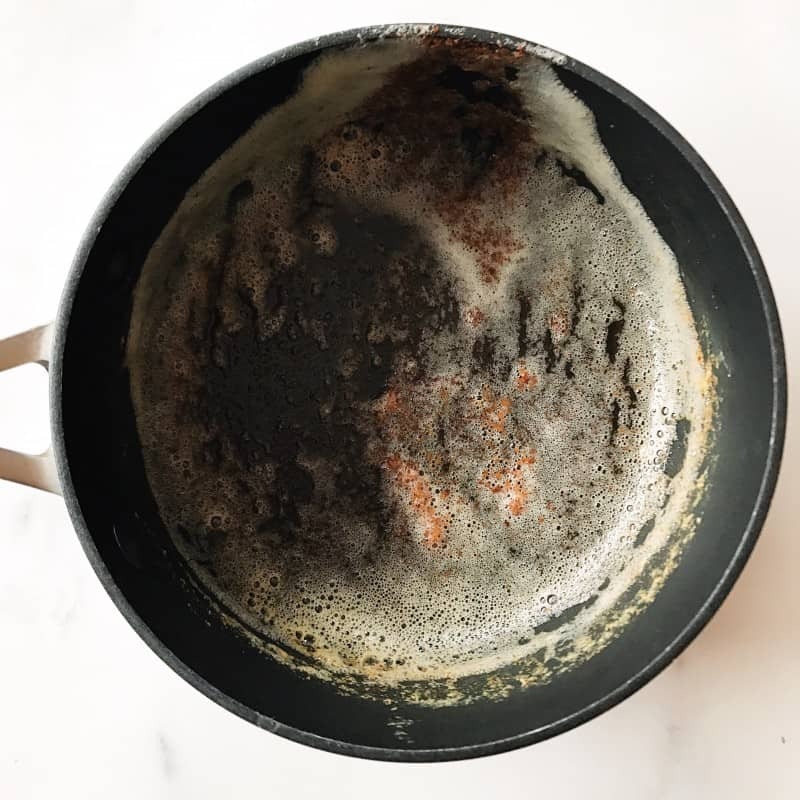 Here is what the saucepan looked like after straining. There are still some milk solids left in the pan. Here is the final product. Beautiful, glorious ghee. It will still be pretty hot, so leave it on the counter to set as it cools. It can take up to a day to fully set, so if you want you can be impatient like me and put in the fridge after a few hours. Since it no longer contains the milk fats, you are able to leave it out at room temperature. I prefer this method and keep it in the pantry so that it is easily spreadable and not as hard as it would be in the fridge. And that’s it guys. As easy as that. 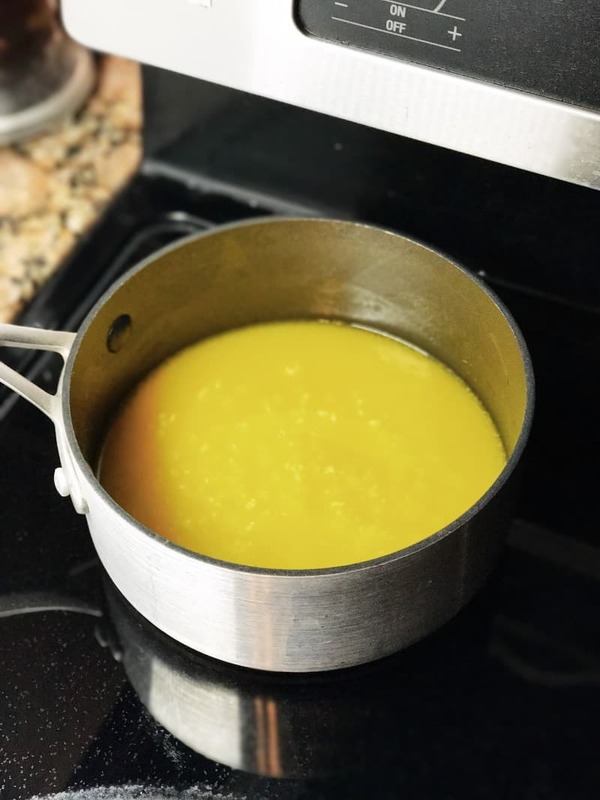 My main use for ghee is to make my scrambled eggs every day, but you can also use it in butter coffee, spread on toast, or really any way that you would use butter, including baking. Happy ghee-ing! 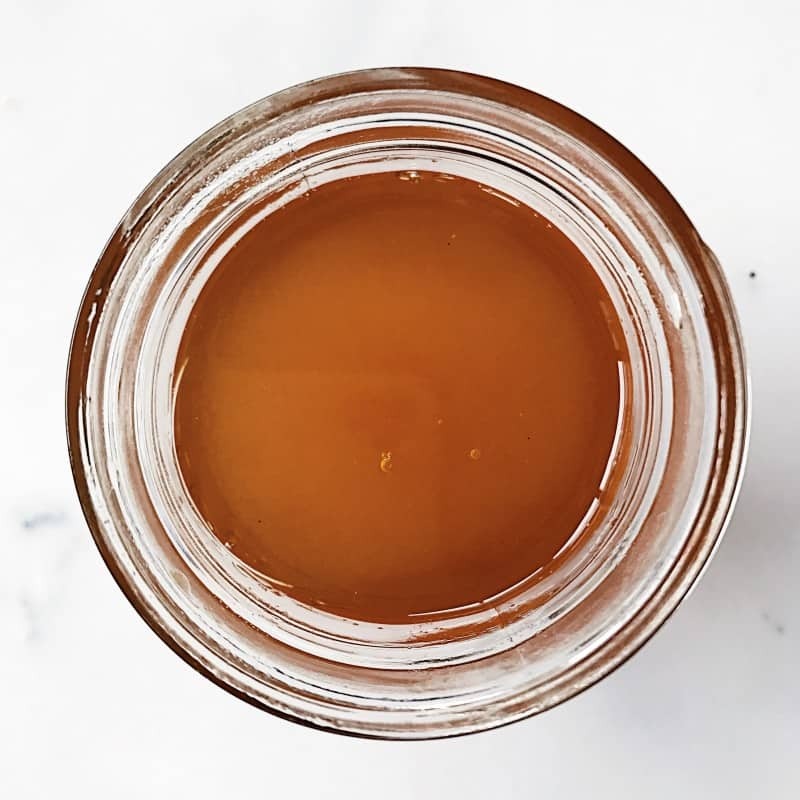 Homemade ghee – what it is, the benefits, and a step-by-step tutorial with pictures! 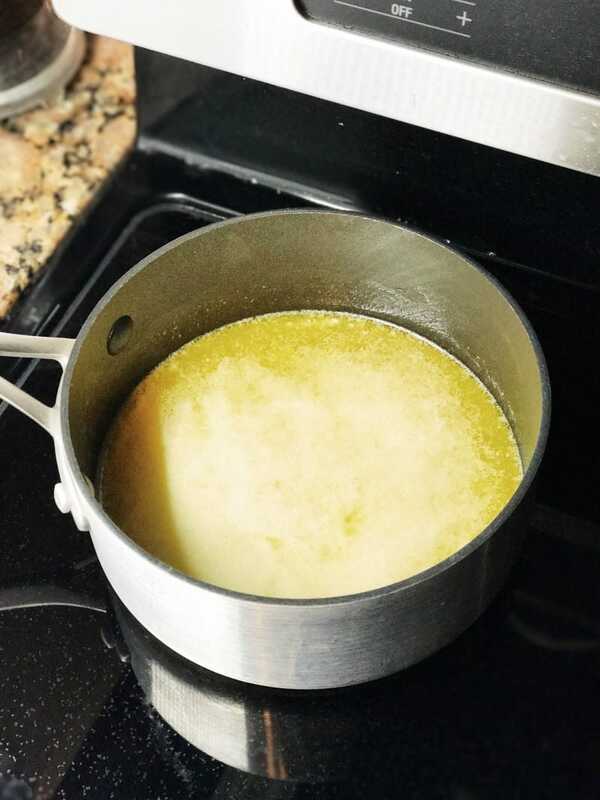 I have never tried ghee but I love that you explained it for those that don’t know! I love ghee!! I had no idea it was so easy to make! Totally making my own in the future. I use mine in coffee, my eggs, and sometimes, I alternate between ghee and duck fat if I’m sautéing meat on the stove. Yum! Ooh duck fat. So fancy! 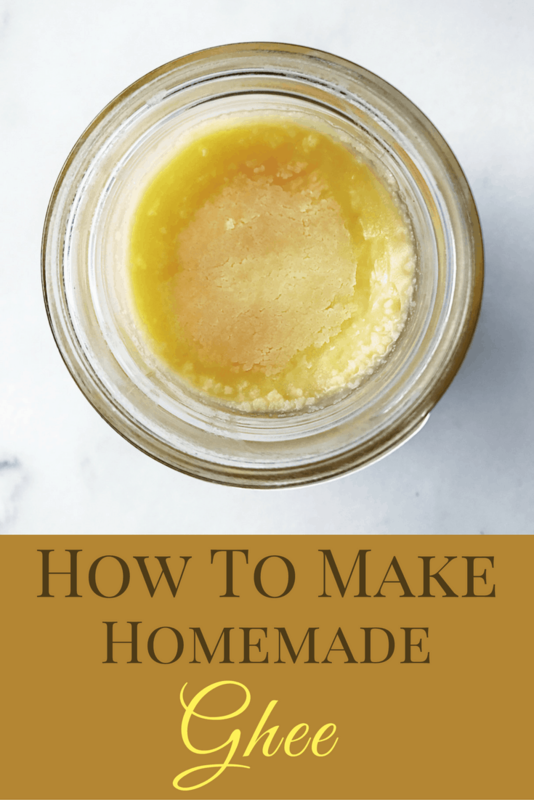 I’ve never thought about making my own ghee either but thanks for this informal tutorial! 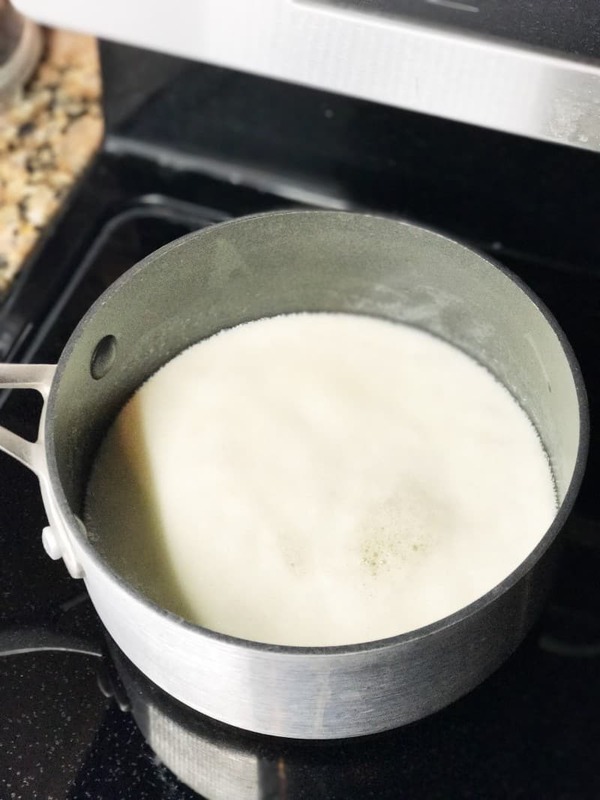 I love how you’re going the homemade route… I still love buying nut butters, but… we got a soymilk machine recently, so we’re going to start trying to make our own soymilk. The first batch was pretty good! And I didn’t realize ghee had so many health benefits. A soymilk machine? That sounds AWESOME! Amazing! No more $10 jars from the store… thanks for the tips! I’m also looking for a good Indian grocery store – what is your favorite? Ive actually never tried ghee before! Do you use it for sauteing too? I bet that’d be delicious! Yup you can use it for that as well! Oh my gosh, that’s so easy!! I definitely need to get my hands on some unsalted butter (the store only had salted at Christmas) and give this a shot! I saw TJs has this same brand for like 2 or 3 dollars cheaper too! So…I love Indian food and therefore like ghee, but I’m lazy and just go the full-on, lactose-laden butter route (maybe it’s because I’m southern?…) I am a little intrigued, though, simply because scrambled eggs cooked in ghee sounds glorious. Hahahaha. It’s so good. The first time I had it I was like WHERE HAVE YOU BEEN ALL MY LIFE?? 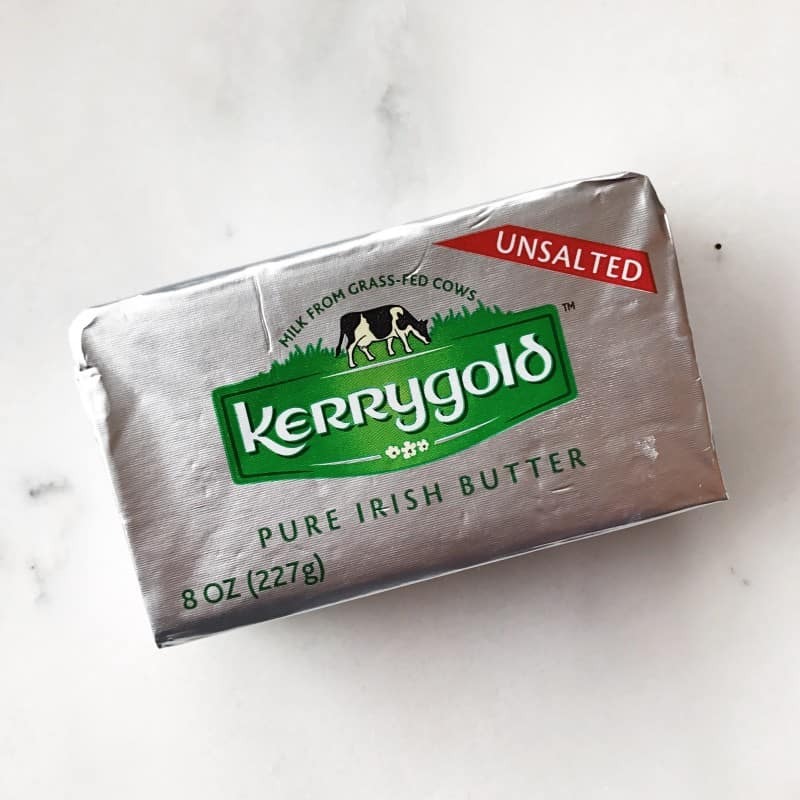 I haven’t used ghee, but when I use butter, I use Kerrygold unsalted! I should give this a try! hey nice post. 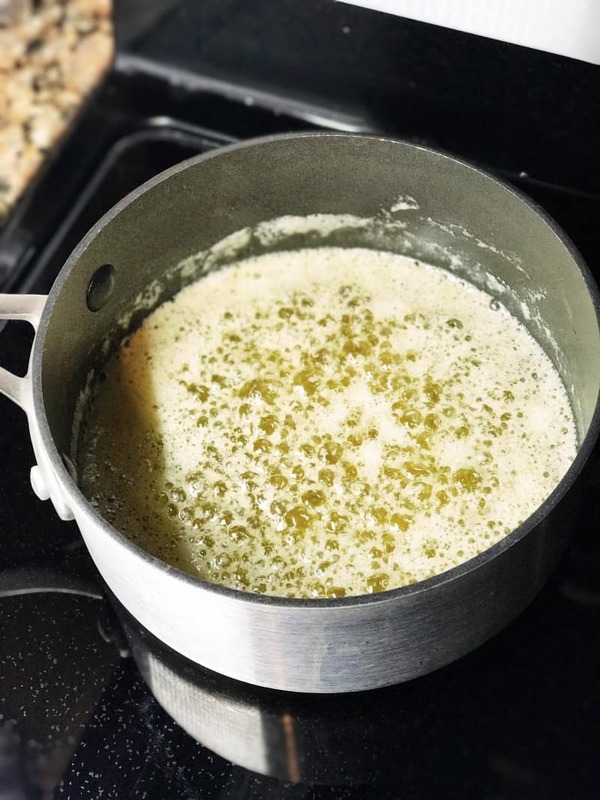 can we use the Malai of heated milk for preparing ghee? Is that better to do?